I am Uluru: A Family’s Story gives a glimpse into the hitherto untold story of the family entrusted as traditional owners and custodians of arguably Australia’s most iconic landmark – Uluru (formerly known as Ayers Rock) and that country, which has been home to the Anangu (people of the Central Desert) for tens of thousands of years. The story begins at the relatively recent point in history known as “first contact” and follows the highs and lows of the family (and all Anangu’s) struggle to adapt to the increasingly European world while still holding on to their deeply traditional faith and way of life. Told with an intoxicating mix of personal recollection – in their own words – and well-researched and sensitively crafted creative and contextual narrative, the book takes the reader on a journey of discovery and enlightenment, but makes neither judgement nor conclusion – the reader is left to digest the knowledge and reach their own understanding. 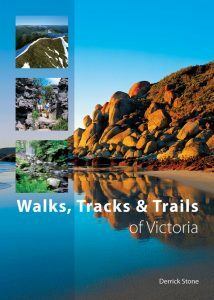 This book is not an exercise in finger pointing – it is simply one unique family’s contribution to the cultural landscape that has for too long been misunderstood, misrepresented and marginalised through a lack of understanding. The book is not an exercise in finger-pointing, it simply aims to open up as much of a traditional world as possible so that others might come to a place of greater understanding about the value of maintaining that sacred culture. 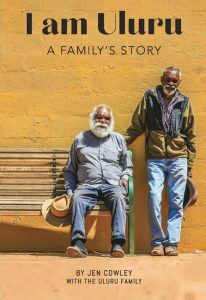 Crafted over the course of three years of intensive contact on country with the elders of the Uluru family, the book has been described as “an important work”, “a great read”, “beautifully written”, “an emotional roller coaster” and “something all Australians should read”. 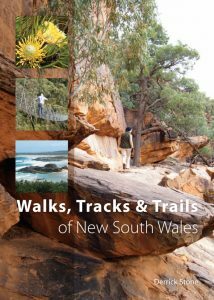 First-person accounts from Uluru family members across three generations are stitched together with carefully researched contextual narrative and sensitively crafted creative storytelling to form a unique and well-rounded overview of a remarkable family’s history. I am Uluru is not only a thought-provoking and page-turning read, it is a document of national cultural significance and a tool of genuine reconciliation. This beautifully illustrated book on the world’s most impressive and spectacular movements of animals, includes various species of mammals, birds, fish and invertebrates. Twenty-five species are covered and these include iconic migrations, ranging from millions of wildebeest moving through the plains of east Africa and the annual return of the spawning salmon each year, to swarms of Monarch butterflies travelling thousands of miles and Arctic Terns flying virtually from pole-to-pole and back each year. 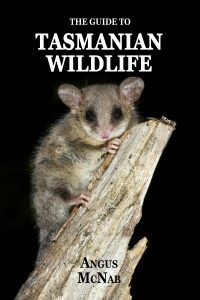 Perhaps less well-known but certainly no less spectacular events include the movements of the Grey Whale, Harp Seal, Osprey, Wilson’s Storm-petrel, Ruby throated Hummingbird, Hummingbird Hawkmoth, Desert Locust, Globe Skimmer dragonfly and even the Christmas Island Red Crab. 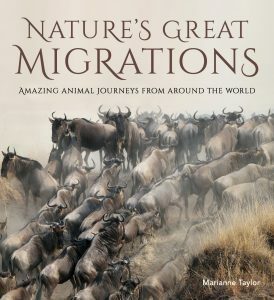 In each case there is an engaging written account, a map showing the location of the movement, and several images of the species concerned, often in spectacular gatherings as the migration is in full swing. 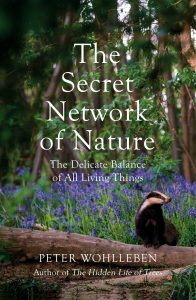 In short this is a remarkable and eye-catching book covering some of the world’s most impressive natural history spectacles, and it will be a valuable addition to the library of any wildlife enthusiast. 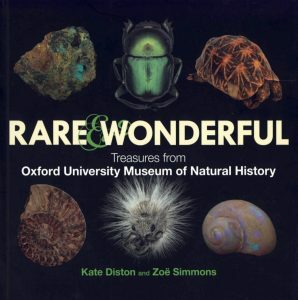 Since its foundation in 1860, the Oxford University Museum of Natural History’s world-renowned collections have become a key centre for scientific study and its much-loved building an important icon for visitors from around the world. The museum now holds over seven million scientific specimens including five million insects, half a million fossil specimens and half a million zoological specimens. It also holds an extensive collection of archival material relating to important naturalists such as Charles Darwin, William Smith, William Jones and James Charles Dale. 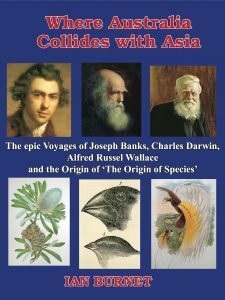 This lavishly illustrated book features highlights from the collections ranging from the iconic Dodo (the only soft tissue specimen of the species in existence) and the giant tuna (brought back from Madeira on a perilous sea crossing in 1846) to crabs collected by Darwin during his voyage on the Beagle, David Livingstone’s tsetse fly specimens and Mary Anning’s ichthyosaur. Also featured are the first described dinosaur bones, found in a small Oxfordshire village, the Red Lady of Paviland (who was in fact a man who lived 29,000 years ago) and a meteorite from the planet Mars. Each item tells a unique story about natural history, about the history of science, about collecting, or about the museum itself. 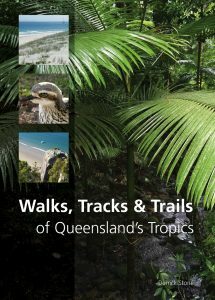 They give a unique insight into the extraordinary wealth of information and the fascinating tales that can be gleaned from these collections, both from the past and for the future. 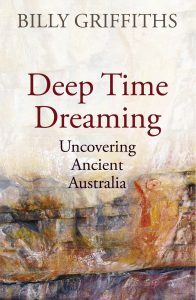 This book investigates a twin revolution: the reassertion of Aboriginal identity in the second half of the twentieth century and the uncovering of the traces of ancient Australia by pioneering archaeologists. It explores what it means to live in a place of great antiquity, with its complex questions of ownership and belonging. In every coastal town in Australia, there’s a bait shop and a boat ramp, and, in garages around the country, fishing rods are strung up waiting for their next outing. Many of us have a special fishing spot, and families pass on tips from generation to generation and exchange fishy tales of amazing catches and near misses. 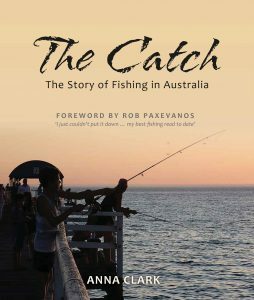 Bringing her personal passion for throwing in a line, author Anna Clark celebrates the enduring pleasure of fishing in The Catch: The Story of Fishing in Australia. 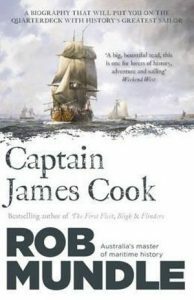 This book charts the history of fishing, from the first known accounts of Indigenous fishing and early European encounters with Australia’s waters, to the latest fishing fads; from the introduction of trout and fly fishing to the challenges of balancing needs of commercial and recreational fishers.